» Square Foot Garden School Garden Contest! Well we look forward to seeing archies cute little face on the front page for the whole month of February!!! As promised you have been giving your 200 puppy paw points! I promise I will get the store up soon! Lets see what february's Contest brings!!! 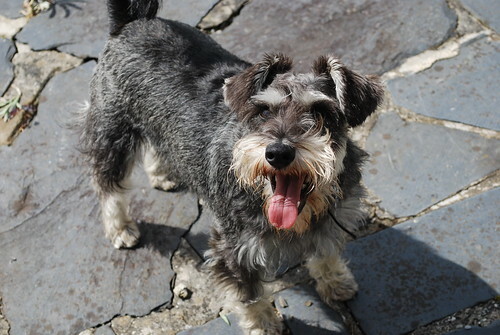 Again Congrats Archie on Being Schnauzer Lover's January's cutest Schnauzer!! !